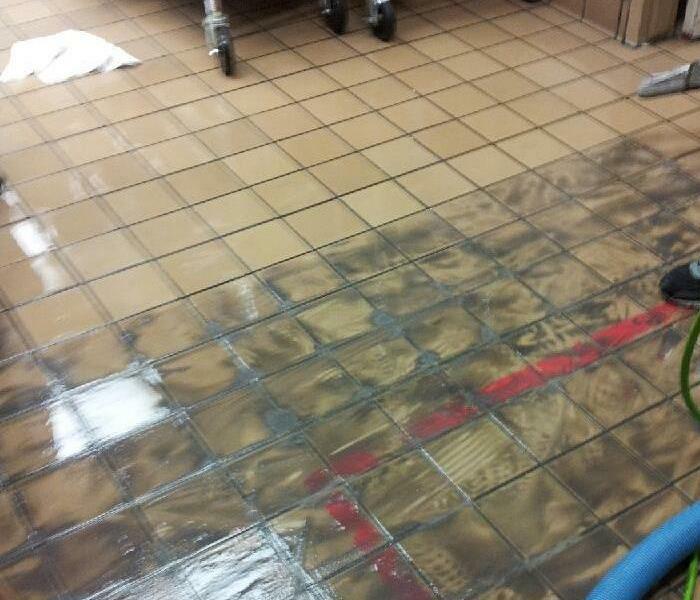 Commercial tile and grout cleaning can be a dirty job, SERVPRO of Palm Desert wants to preserve the life of your floor. With this medical facility the tile cleaning proved to be a very satisfying cleaning job to all of us at SERVPRO of Palm Desert. The medical facility personnel were very happy with the results of the tile cleaning. As you can see in the picture, the tile and grout were in need of a deep cleaning. When the soil builds up on your tile and grout; the bacteria can be very harmful to you and your employees. We take pride in knowing that we made our customer happy with their results. SERVPRO of Palm Desert has some of the best training. 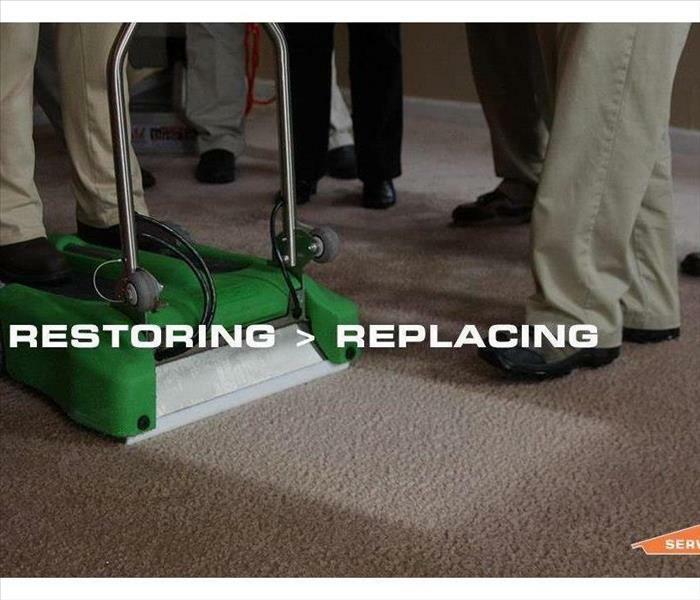 SERVPRO has taught many classes on restoration versus replacement. Restoration saves your special home items and saves the Insurance company money. It's a Win Win! 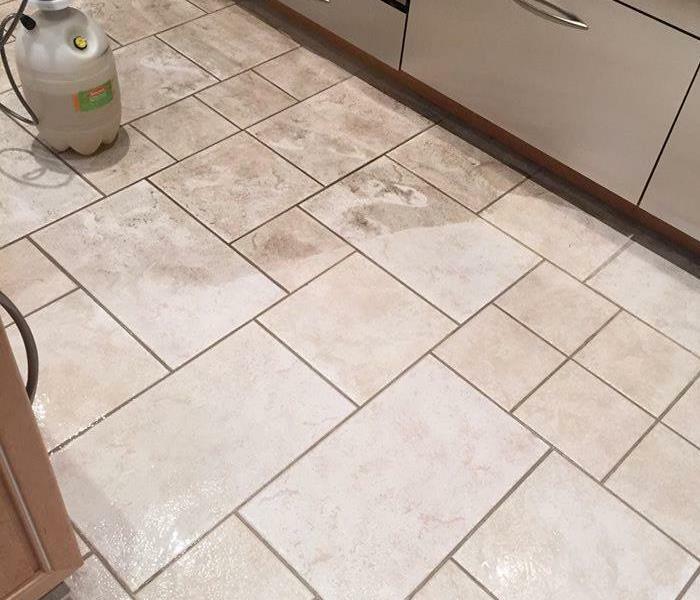 SERVPRO of Palm Desert has this before and after picture of a tile cleaning project. We are excited how marvelous the tile looks after a good cleaning. Our Team is amazing. SERVPRO of Palm Desert can take care of all you Area Rugs. Whether you need them dried, cleaned and/or restored. Your area rugs will need to be cared for in the event that you have a Water Damage, Fire Damage or just routine cleaning. Team SERVPRO of Palm Desert. These are the Team members that are dedicated to the job they do. They are passionate about taking care of their customers and making it "Like it never even happened." Whether it's organizing a Pack Out job, setting up Water Damage Remediation jobs, talking to adjusters or homeowners; this Office Team can get it done. We are dedicated to our cusomers and We Are Here to Help.